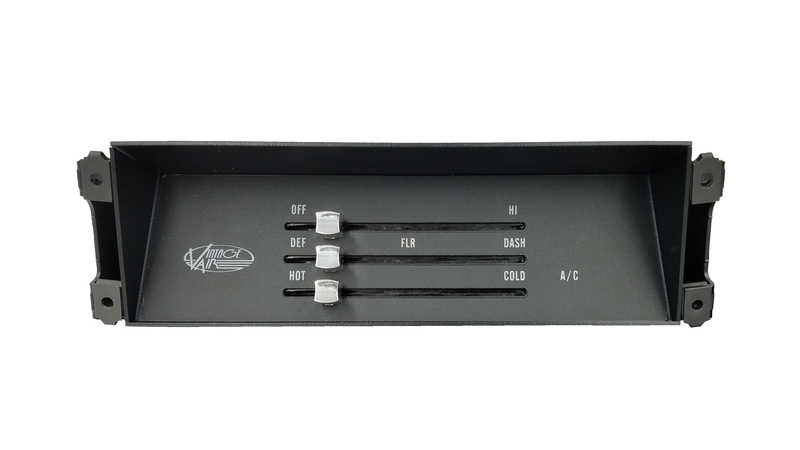 Vintage Air, the leading manufacturer of complete performance air conditioning systems for classics, hot rods and street rods, has announced the release of its all-new bolt-in replacement complete control panels for ’67-69 Camaro. These control panels are designed to replace the factory controls and operate the Gen IV systems. Camaro owners with a great way to upgrade the functionality of their climate control system and improve the look of their dash. This drop-in upgrade features LED back lighting and a compressor engagement indicator, variable slide adjustments for fan speed, temperature and air delivery selections. The Vintage Air Camaro Control Panels are available for the ’67-68 Camaro and Firebird (Part #473047) as well as the ’69 Camaro and ’67-‘74 Nova (Part #473046) and mount in the OEM location utilizing the original hardware and included wiring harness. Vintage Air Camaro Control Panels are proudly made in the USA, come with all parts necessary for a complete installation and are backed by a three-year warranty against manufacturer defects. 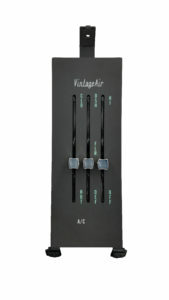 For more information on the Vintage Air’s Camaro Control Panel or other products, visit www.vintageair.com or call (800) 862-6658.